Portsmouth is a beautiful seafront city and is very flat! If you are able to walk to the festival we fully recommend strolling to the event on Southsea Seafront. There are 4 entrances to the festival site. Cycling has never been so popular! Why not cycle to the festival? The site will have bicycle parks for those of you wishing to ride that will be guarded during festival opening hours… But please remember – don’t drink and cycle! Xela Bus, First Group and Stagecoach offer bus services within & around Portsmouth. Their timetables can be found on their websites. Please check before making travel plans. If walking isn’t for you there are regular buses and many taxis in the area that can take you direct to the seafront from these stations. The festival is on the Seafront after all! Ferry services operate from France, Spain, the Isle of Wight and Gosport on a regular basis. The closest crossing to the festival site. Hovertravel operate every 30 minutes throughout the day between Ryde and Southsea. Evening services from Southsea Southsea run until 11:30pm on Friday and 12:30am on the Saturday and Sunday! EARLY BIRD DEAL: 50% off standard day return crossings! That’s 50% off a standard day return fare – get booking now to secure these amazing prices. We expect these to be very busy so we recommend pre-booking! Day returns available from just £10! Short Stay standard returns available from just £16! Book early to avoid disappointment. Limited time offer. Available online only. Visit their website for timetable information and to book your tickets now! The Gosport Ferry runs until 12:30am with a smaller late night boat operating until 4am. The Gosport Ferry terminal is next to The Hard Interchange, a 30 minute walk away from the festival. Here there are very good bus and taxi services. There is a 64 passenger ferry operating between Hayling Island and Eastney. For full details check the Hayling Ferry website. We are trying to be as green a festival as possible so if you can use public transport, walk or cycle then please do. If you simply must drive then please see below for East and West approaches into the city as illustrated in the ‘getting here map’ at the top of the page. There will also be yellow highway signs along the way to assist you. PLEASE NOTE – If you do not have pre-booked parking tickets, please do not head to this car park. Please use our park and ride service or Lakeside or other Portsmouth City car parks. The Victorious Festival Pre-booked car park is located conveniently right next to the festival site. All tickets MUST be booked by the lead driver & they will be required to show their drivers licence at the gate on arrival along with the PRINTED ticket. Monday (after event) : 8am – 12noon. All cars must be removed by 10am the following day. If you have pre-booked parking for 2 or more days, for example both the Saturday and Sunday – your vehicle may remain for the duration and must be removed by 12 noon on the Monday. If you have booked for the Friday and Saturday, your vehicle must be removed on the Sunday by 10am. If you book pre-booked parking and wish to leave and return again on the same day, please let the exit point know so they can stamp your printed ticket. Pre-booked parking tickets are on sale now and available here. 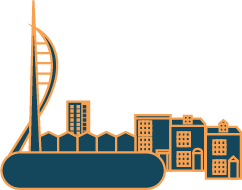 For a list of all the public car parks in Portsmouth please click here. 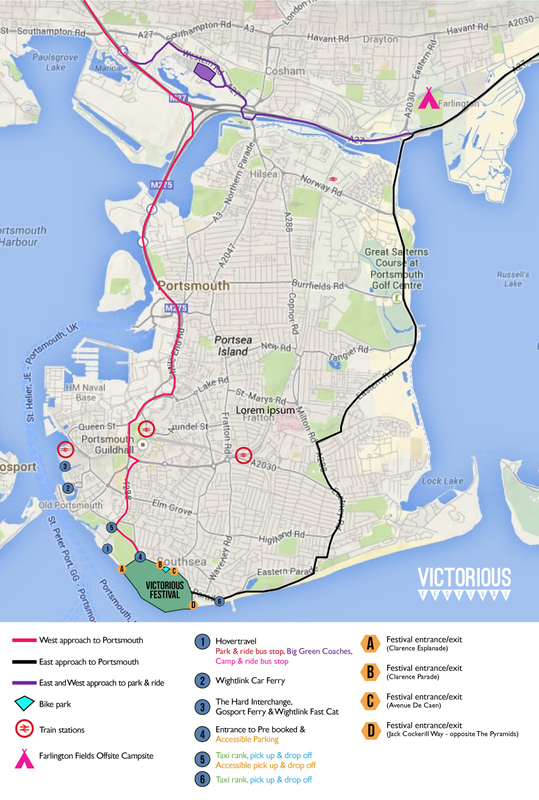 If you are driving to Victorious Festival why don’t you add any potential spare seats you have on GoCarShare? They connect you with people looking for a ride who contribute to your journey costs. See the section ‘Getting there by road’ above for more details. When you arrange to get picked up please make sure you arrange to be collected from one of these two locations. Victorious Festival we are committed to making the festival as green as possible and ask you all to consider your environment and the effect your travel has on it. Therefore we have teamed up with the friendly peeps at GoCarShare to help encourage as many of you as possible to share car journeys by offering lifts. Just click on our page and add your journey, whether you are driving or looking for a lift, and they will match you with someone going the same way. Below is a list of taxi numbers for the local area. Sharing taxi costs with friends can work out to cost a lot less than you think! When getting your pre booked Taxi home please make sure you arrange to be collected from one of these two locations, these are also pre set UBER pick up locations. General Public pick up and drop off point are located at the same places. There will be one hackney cab rank located outside the festival site. Located between Debenhams and Knight & Lee on the junction of Osborne Road / Clarendon Road / Palmerston Road. 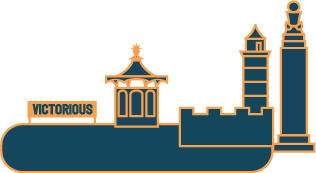 The Solent Go Travel Card makes travelling around Portsmouth by bus and ferry even easier! For more information and to sign up for your card visit the Solent Go website. You can also explore ways to travel around the city with this very handy Hampshire Journey Planner.